Lead in Lipstick - Are You Causing Damage to yourself? Lead in Lipstick – Are You Causing Damage to Yourself? When it comes to wearing makeup, most of the girls consider it incomplete without a glossy and colorful pout. But are those lovely lip colors safe for you or are you endangering yourself by opting for them? Well, several studies have been conducted on it and an alert has been issued by stating that a number of popular cosmetics brands make use of considerable amounts of lead in their lipsticks, which is extremely dangerous for our health and can cause lethal diseases like cancer. Let us dig deeper and know more about the fact. Even though a number of organizations have researched on lead in lipstick and its danger, we will concentrate only in the one conducted by the Food and Drug Administration (FDA) in December, 2011. 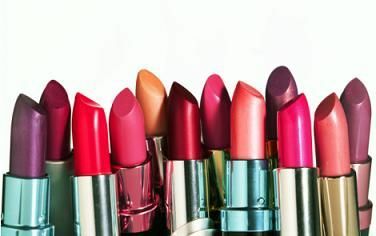 The scientific regulatory agency took around 400 lipsticks into account from different brands and tested the amount of lead present in them. According to the results, the lowest and highest concentrations of the metal found in the products were 0.026 ppm and 7.19 ppm respectively, while the average count was more or less 1.11 ppm. Lead is highly dangerous for human health. From growing minor behavioral issues to developing deadly diseases, it can affect us in a number of ways. Studies have revealed that lead is to some extent carcinogenic, which makes it a poisonous element. It has been seen that kids below 6 years suffer from lead poisoning the most. However, prolonged exposure to lead can take a toll on the health of adults too. Is Lead Making Lipsticks Unsafe? The FDA examined the lead levels found in the lipsticks and tried to figure out their effects on consumers’ health. According to it, the amount of lead used in such lip products remains within the recommended limits. Hence, it should not be a safety concern for makeup enthusiasts. In addition, lipstick is used topically and is very slightly absorbed if ever ingested. So, the chance of developing lead poisoning from it is really low. But if it is used frequently and for long time, you may end up making yourself vulnerable to various health hazards. There are quite a few international luxury cosmetics brands, such as Mary Kay, Red Earth, Christian Dior, Clinique, Estée Lauder, Lancome, Shiseido, Mark America, Chanel, Motives, Avon, Lipstick, Y.S.L (Yves Saint Laurent), etc. that use lead in their lip products. It is advised that you try to stay away from long-lasting lipsticks as they contain very high levels of lead. 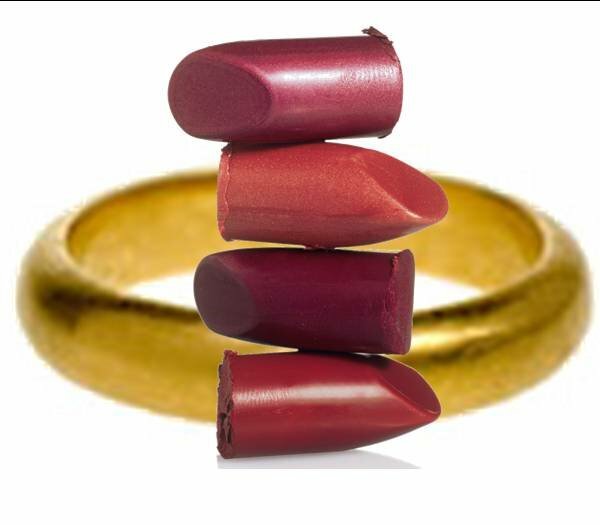 If you want to determine whether your favorite lipstick contains lead or not, perform the well-known ‘Gold Ring Test’. All you need to is to swipe the stick on your palm once or twice and pass a gold ring through it slowly. If the lovely color turns black, you have chosen the wrong product with lots of lead in it. So, if you want to be in the safe side, go for a lead-free lipstick and preserve your beautiful smile for long.